Well as parties go, this year’s Black Friday weekend was ‘one huge sales party’! We are not going to bore you by repeating all the stats about how many billion dollars of sales were made, how many million parcels need to be delivered or what was the average response time for the Argos or Target website. Let’s suffice it to say that US$4.4bn spent online in the US and £1.1bn spent online in the UK is a big party in anyone’s vocabulary. But like all good parties the morning after normally starts with a hangover as you try and piece together what happened the night before. 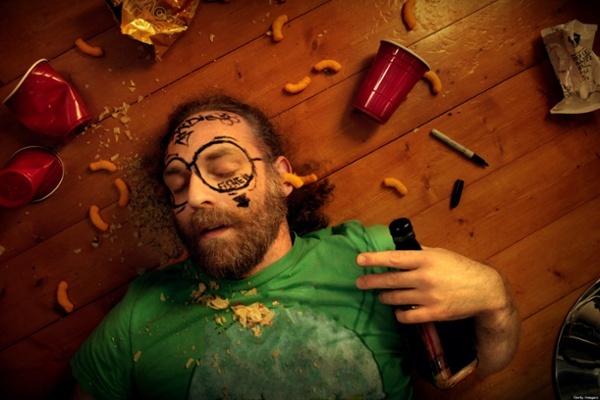 And the bigger the party…… the bigger the hangover. If you are a retailer you will still be busy for a few days trying to get all those parcels out and working out how to deal with the inevitable returns. But there is a moment on the horizon you are dreading, in effect this moment is going to be the ‘mother of all your hangovers’. That moment is going to be like someone throwing a jug of ice cold water over your poor forehead. It is when you have to sit down with the guy from the Finance Department and review performance of the Black Friday and Cyber Monday weekend. So now you have a database chock full of people who will only ever return to your store or website if you tempt them with margin eating discounts. First of all, it didn’t have to be like this. If only you had taken our advice to ensure you got something of value from your inevitable bargain hunters by making them earn those bargains by referring their friends and colleagues! But the good news is that it is not too late! If you start from the premise that if you know one thing for sure about these people, it is that they like a bargain and that they will often put considerable effort into getting that deal. Now what you need to do is use that fact to get them to bring you good and price-insensitive customers that deliver the lifetime value that will turn around your Black Friday numbers. That doesn’t mean have Black Friday every week, but it means creating a permanent and always-on referral program that allows people to earn great deals by referring their friends, family and colleagues. And what is even better, those great deals don’t need to be discounts, and can be fan based or experiential rewards that cost you little but have high value for your customer. All this is possible simply because bargain hunters are not bad people or pariahs in society. They don’t walk around with signs on their heads saying ‘bargain hunter beware’. They are our brothers, sisters, fathers, mothers, friends and work colleagues. We mix with discount hunters every day. And that doesn’t mean we are price sensitive simply because they are. So that means that they can refer or recommend us to buy from you as a condition of getting a special reward. That is how you can get value from all those bargain hunters you just acquired! So if you want help to turn the red ink into black after Black Friday, drop us a line and we will show you how to create an always-on referral marketing channel that will deliver value all year. That has to be better than two Alka-Seltzers!